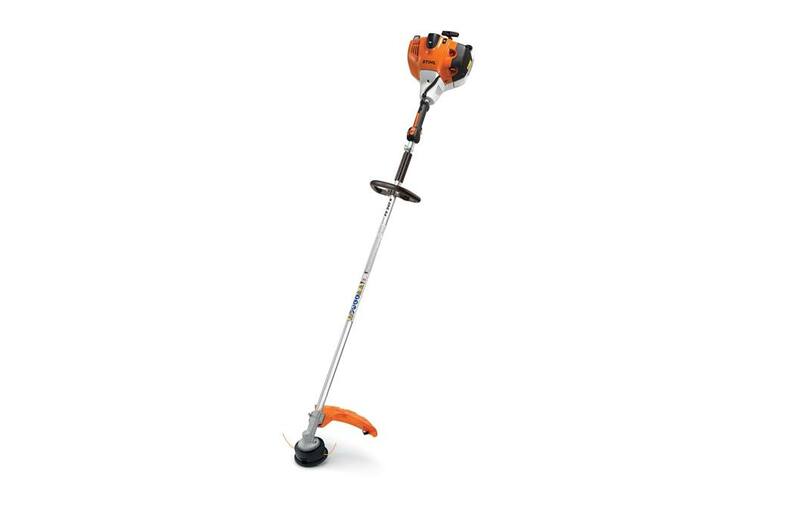 The STIHL FS 240 R professional trimmer combines a heavy-duty design with the versatility needed to handle a variety of challenging clearing situations. Providing 20% more fuel efficiency, the low-exhaust-emission engine, combined with the large (25.4 oz.) fuel tank, means you'll spend more time cutting and less time refueling. The FS 240 R is an ideal addition to any professional crew charged with cutting around ponds, along canals, in roadside ditches, and through heavy thickets. IntelliCarb™ Compensating Carburetor: The IntelliCarb™ Compensating Carburetor measures the air pressure on the clean side of the air filter and adjusts the metering diaphragm in the carburetor. This keeps the RPM at a consistent level, even when the air filter begins to clog.